It's not often bettors get points with a Tom Brady-led Patriots team, especially in the playoffs. In fact, New England hasn't closed as an underdog in a game Brady played in since 2014. 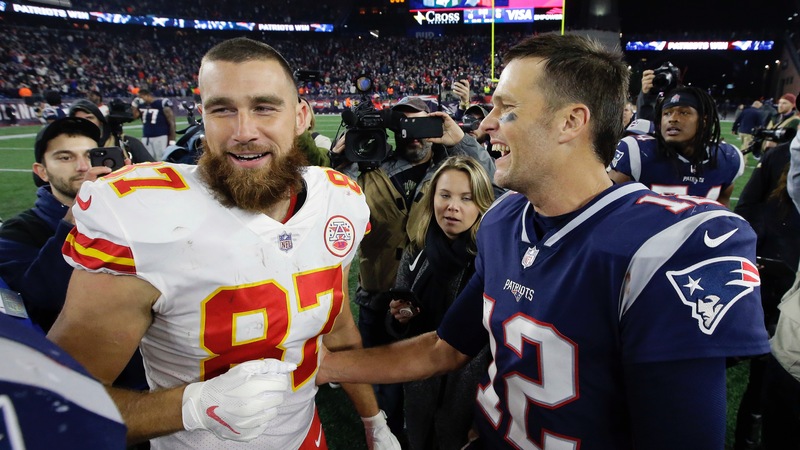 It's not often bettors get points with a Tom Brady-led Patriots team, but they are for [Sunday's AFC Championship Game](https://www.betchicago.com/2019-nfl-conference-championship-game-odds-trends) in Kansas City, as New England (12-5, 10-7 against the spread) is catching three points against the Chiefs at basically every Vegas sportsbook [as of Monday evening](http://www.vegasinsider.com/nfl/odds/las-vegas/). The Pats, who'll be playing in their eighth straight AFC Championship Game, haven't closed as an underdog in a game Brady has played [since Nov. 30, 2014](https://www.pro-football-reference.com/boxscores/201411300gnb.htm) when Aaron Rodgers and the Packers beat New England, 26-21 at Lambeau Field, as three-point favorites -- a streak of 76 games. While some closed Seattle as a one-point favorite vs. New England in Super Bowl 49, the consensus line was a pick 'em. It's been going around on Twitter and elsewhere that the Patriots were an underdog in their Week 2 game in Buffalo in the 2015 season, but they closed as one-point favorites, according to Pro Football Reference. They [won that game 40-32](https://www.pro-football-reference.com/boxscores/201509200buf.htm) after holding a 24-point fourth-quarter lead. New England was a nine-point underdog in Week 1 of the 2016 season ([a 23-21 win in Arizona](https://www.pro-football-reference.com/boxscores/201509200buf.htm)), but that was because it was the first game of Brady's suspension stemming from Deflategate. The Pats went 3-1 SU and ATS in Brady's absence behind Jimmy Garappolo and Jacoby Brissett. They've played 51 games as favorites since then, and are [a league-best 35-16 ATS](https://www.teamrankings.com/nfl/trends/ats_trends/?range=yearly_since_2016). __MORE:__ [Vegas has a big weekend with favorites](https://www.betchicago.com/vegas-books-nfl-playoffs-favorites-underdogs-divisional-round) | [Finding the best Super Bowl odds](https://www.betchicago.com/super-bowl-53-odds-futures-conference-championships) ## Patriots as playoff underdogs The numbers are even more staggering in the playoffs in the Brady/Bill Belichick era, mostly because [23 of the 38 games](https://www.pro-football-reference.com/teams/nwe/playoffs.htm) were at home and eight were Super Bowls, all of which were obviously at neutral sites. The Patriots have been underdogs in only six playoff games since the 2001 season -- five on the road and one Super Bowl. They won twice in 2001 as double-digit underdogs en route to the first Super Bowl win of the Brady/Belichick era. They lost in Denver to the Jake Plummer-led Broncos in 2005, 27-13, getting five points. They won in San Diego the following season catching five points, but lost the next week to Peyton Manning and the Colts in Indy getting three. And they lost in Denver in the 2013 AFC Championship Game, again to Manning, getting five points, so they are 3-3 SU and ATS as playoff underdogs. As mentioned above, Super Bowl 49 against the Seahawks was a pick 'em. Brady is 28-10 SU and 20-18 ATS in the postseason with five of the outright losses coming to the Manning family (three to Peyton and the two Super Bowls to Eli). The Patriots haven't won a road playoff game since the 2006 win in the Divisonal Round over the Chargers, but they've only played two since then -- both losses in Denver. New England went 3-5 SU and ATS this season on the road, losing to five non-playoff teams -- the Jags, Lions, Titans, Dolphins and Steelers (they beat the Bears, Bills and Jets). The Chiefs (13-4), who only have two playoff wins since 1994, were 10-6-1 ATS this season, including 5-4 at Arrowhead Stadium. They were on a 1-6-1 stretch ATS before covering their last two. <a href="https://www.youtube.com/watch?v=iQCDhwACS_E" class="embedly-card" data-card-width="100%" data-card-controls="0">Embedded content: https://www.youtube.com/watch?v=iQCDhwACS_E</a> As for the total, which opened at 58 but is now 56.5 at most books, it would be tied for the second-highest in Brady's playoff career. The Super Bowl against the Falcons was the highest, at 57.5. The highest total of Brady's career was this year's 43-40 home win over the Chiefs at 59.5. Ten of last 12 Patriots playoff games have gone OVER their total.